Presented by On the Verge. At the Community Arts Workshop, Thu., Aug. 2 (Athena), and Fri., Aug. 3 (Trouble in Kind). Athena shows Aug. 9 and Trouble in Kind Aug. 10-12. In four years of existence, the On the Verge theater festival has developed a reputation for bringing fresh perspectives with an experimental flare to the Santa Barbara theater scene. The 2018 offerings, running at the Community Arts Workshop in downtown Santa Barbara through August 12, continue in this tradition. This year’s works include Gracie Gardner’s Athena, about two teenage fencers who find a kind of friendship born from competition, and Caridad Svich’s Trouble in Kind, a mythology-infused view of an unsettled community working through a wrenching loss. Athena, directed by Kate Bergstrom, is a highly staged reading with dynamic blocking in an intimate setting that matches verbal sparring with the strident undulations of (mimed) fencing. Effortlessly genuine and engaging, Athena explores the struggles of teenage fencing partners from different cultural backgrounds in New York. Terry Li and Allison Lewis Towbes capture the uncertainty and humor of intelligent, intuitive girls navigating the awkward limbo between childhood and adulthood. 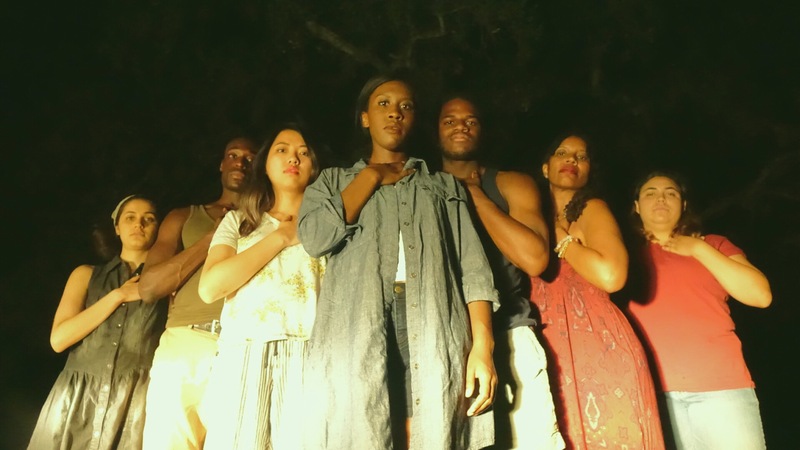 Trouble in Kind, directed by Josiah Davis, is more mood poem than play — a stylized, lyrical verbal dance expressing a passionate cry for social justice. The play is meandering and the narrative is muddy, but the staging, which incorporates live music, dance, and stark lighting on silent, urgent tableaux, shows Davis to be a director exploring a bold visual aesthetic.